If you need help understanding the property licensing rules in Hillingdon you have come to the right place! We are experts in housing regulation and have produced this free guide to help you understand the council’s property licensing schemes. If you find that you need a licence for your rented property our support doesn’t end there. We can handle the licence application process and give you expert advice and guidance along the way (read here). Once you have read through our guide, if you need any assistance you can contact us here. To help set the scene, the London Borough of Hillingdon is in west London covering an area of 42 square miles. This outer London borough is bordered by the boroughs of Harrow, Ealing and Hounslow to the east and adjoins the counties of Hertfordshire and Buckinghamshire to the west. According to the 2011 Census about 18% of the housing stock was privately rented which is lower than the London average of 25% (1 in 4). You do not need a licence if you rent your property to a single family as Hillingdon Council do not operate a selective licensing scheme. If you rent out your property as a House in Multiple Occupation (HMO), the answer is a bit more complicated. Hillingdon Council operate both an additional licensing scheme and the mandatory HMO licensing scheme that applies throughout England. On 23 July 2015, the council decided to implement a replacement additional licensing scheme that came into force on 9 November 2015 and will continue for five years. The additional licensing scheme applies to what the council describes as the area of the borough south of the A40 but excluding the part of Heathrow Villages ward consisting of the airport itself south of the A4; the parts of Yeading and Townfield wards East of the Hayes By-Pass and the part of North Uxbridge North ward, which is North of the Uxbridge Road and East of Park Road (see map). It is occupied by five or more people forming two or more households. For landlords who have already licensed their properties under the previous scheme, your existing licence remains in force until the expiry date stated on the licence. You will then need to apply for a licence renewal. The council charge a standard application fee of £980 per property for new licence applications. The fee for licence renewals is £735 per property and both fees are payable in two instalments. 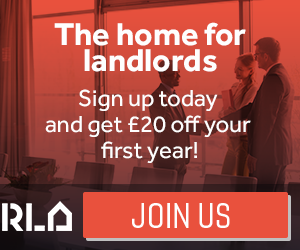 Unfortunately, in September 2015, Hillingdon Council told us that they had withdrawn fee discounts for accredited landlords, which we think is a shame. The fees we’ve listed were correct as of April 2019, but could be subject to change in the future. You can view the fees in full on the council’s website. You can apply online for an HMO licence via Hillingdon Council’s website. You will need to upload various supporting documents so make sure you’ve got all your paperwork ready. Yes, the Hillingdon HMO standards can be downloaded from the council’s website. They have a lot of guidance available to download from the website that you may find useful. As of July 2015, Hillingdon Council said they had licensed 153 HMOs under the mandatory HMO licensing scheme and 362 HMOs under the additional licensing scheme – so 515 properties licensed in total. By March 2016, the number of licensed properties had risen to 228 HMOs under the mandatory HMO licensing scheme and 613 HMOs under the additional licensing scheme – so 841 properties licensed in total, an increase of 326 in the last 8 months. We did try and get updated figures in 2017 but struggled to make sense of the information provided by the council so we were unable to publish an update. We checked again in August 2018 and found there were 313 licensed HMOs listed in the public register on the council’s website. We think this may just relate to the mandatory HMO licensing scheme although it remains a bit unclear. Hillingdon Council keeps a public register of all licensed properties that is regularly updated. The public register can be viewed on the council’s website. In relation to mandatory HMO licensing, Hillingdon Council estimated in 2008 there were about 150 licensable properties. In July 2015 they revised that estimate up to 212 although they have now exceeded that number in relation to the number of licences granted. When additional licensing was introduced in 2010, Hillingdon Council expected to license about 519 properties. In July 2015 they revised that estimate up to 577 although it seems they have now exceeded that number in relation to the number of licences granted. We did try and get updated figures in 2017 but struggled to make sense of the information provided by the council so we have been unable to publish a further update. Hillingdon Council told us they took five housing prosecutions over the three-year period from April 2011 to March 2014, no prosecutions under the Housing Act 2004 from April 2014 to March 2016 and three housing prosecutions in 2016/17, so they do seem to be stepping up their enforcement action. Hillingdon Council did not obtain any Rent Repayment Orders from the landlords of unlicensed HMOs over the six years from April 2011 to March 2017. This is based on data published by the Courts and Tribunals Judiciary. Whilst we don’t have any figures for the NLA or RLA schemes, we have got information about the London Landlord Accreditation Scheme that is supported by all the London Boroughs. In January 2016, they told us there were 423 accredited landlords in Hillingdon, which was below average when compared to all London boroughs. By January 2018, that figure had increased to 467 and by January 2019, that figure had increased to 486, which is well below average when compared to all the London boroughs. To find out more about becoming accredited, you can visit the London Landlord Accreditation Scheme website here. The council’s first additional licensing scheme was in force for a five-year period from 8 March 2010 to 7 March 2015. On 23 July 2015, a report was presented to the council’s cabinet meeting (read here) recommending renewal of the additional licensing scheme. It said they carried out an online consultation about renewal of the scheme on the council’s website for 10 weeks from 21 April 2015. We are not sure how well publicised it was as we didn’t know anything about it! As the only organisation dedicated to providing property licensing information across London, it’s a real shame they didn’t tell as we could have helped to promote the consultation amongst landlords and letting agents. According to the council’s report, only 11 people replied to the online consultation, 6 of who were landlords or agents and 5 were residents. This does seem a very low response rate. The council said that the proposal was also discussed at their Landlord Forum in March 2015 and that they wrote to the three main landlord associations, Brunel University, the Police and London Fire Brigade. The Cabinet meeting approved a new scheme designation that has since come into force from 9 November 2015. We will continue to monitor what’s happening in Hillingdon and will keep you posted. In September 2016, we checked with Hillingdon Council who told us there is a HMO Article 4 Direction covering the Brunel and Uxbridge South Council wards. It came into force on 24 March 2013 and it removes the permitted development rights to change a property from a single-family house (use class C3) to an HMO occupied by up to six people (use class C4) without planning permission. So from that date, even letting your property to three people who are not all related could require planning permission if it is within the Brunel or Uxbridge South Council Wards. You can download a copy of the Article 4 Direction from the ‘More Information’ box on the right of this page. More information is also available on the council’s website. No selective licensing in Hillingdon although mandatory HMO licensing applies borough wide and additional licensing applies to part of the borough.